This is one of my favorite pieces and actually hangs in my home. It was created from a couple of photographs of Bass Harbor Head lighthouse and memories. Bass Harbor Head lighthouse is just outside the harbor in Maine where my Dad lives and he drove his lobster boat, the Cindy Lou, by that lighthouse daily for many years (and still does in the summers now that he is in his 80s). 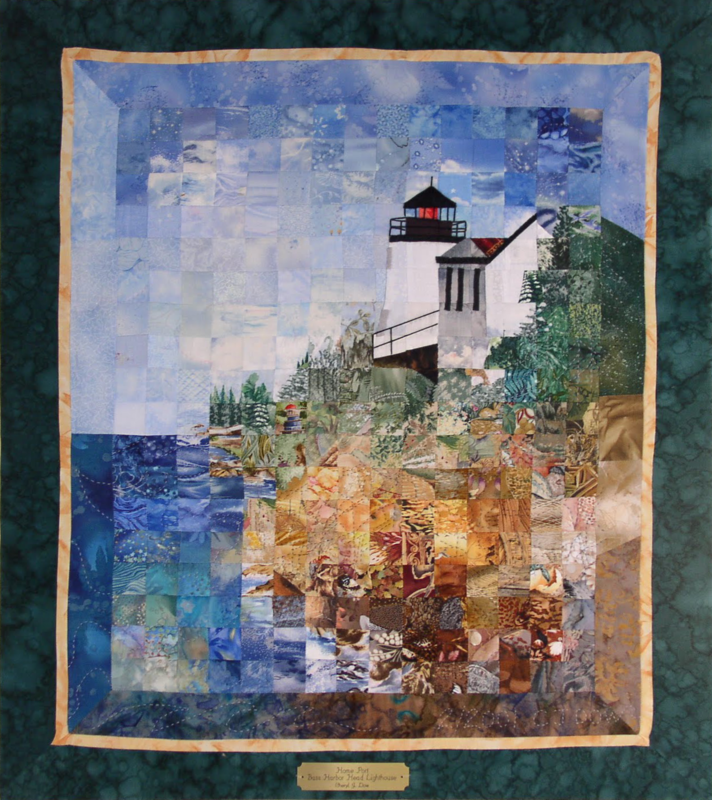 The quilt is pieced in the watercolor technique and captures the feel of a Maine summer sky, the Atlantic Ocean’s constant shift of colors and the luminosity of color in the coastal land.The hand quilting is done with colored sulky threads to compliment the design; with cording added for detail on the lighthouse. It measures 32″ wide by 36″ height and is stretched on wood and backed with a complimentary fabric.